Boughton Park Lawn Tennis Club was founded in 1929. 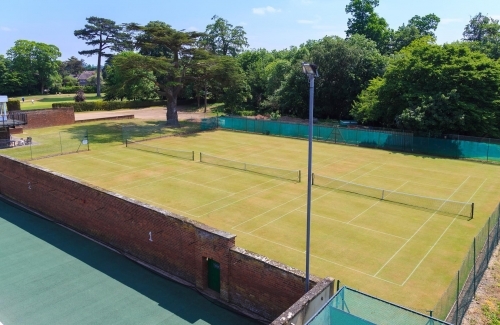 It now has 4 all-weather, floodlit courts, and 3 superb grass courts, which are maintained by the Golf Club Greenkeepers, and are regarded as some of the best grass courts in the County. During the year, there are a number of mixed social tournaments, and a summer Club Tournament, usually run on a knockout basis. Junior membership has thrived over recent years, and many of our juniors now play in the club Teams. We also have link with the University of Worcester, and they have court access at certain times. 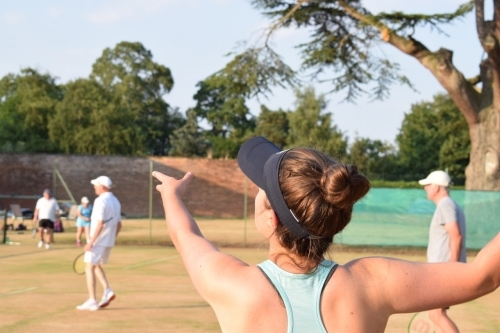 There is a thriving Tennis section, with play available for Men’s, Ladies, and Mixed teams in the Hereford and Worcester Summer and Winter Leagues. There is mixed social play on Club nights, and match practice on a Tuesday evening throughout the year. For players new to the sport we offer a 3 month Tennis Taster membership for a one off payment of £50. For more details on how to join our tennis section, please email [email protected] or telephone 01905 422555.